Historically Black Colleges and Universities have a rich legacy of fostering countless Black leaders, artists, doctors, and teachers over the past century. Now, the institutions that have given so much to this country have a new museum dedicated to honoring their history. Spearheaded by Terrence Forte and his family, the HBCU Museum recently opened in Washington, D.C. Though it’s currently housed in a 638-square-foot storefront that functions as the project’s welcoming center, the HBCU Museum displays several artifacts from institutions from around the country and significant moments in Black history, including early issues of EBONY and JET and photos of prominent HBCU grads. “We want to bridge the gap for those who might not know about historically Black college and universities’ stories,” Forte said. Presently, the HBCU Museum is in the first phase of a four phase rollout, and Forte said the institution is looking for a larger and permanent space in Washington, D.C., as well as a 6,000-square-foot space in Atlanta. Though there are other museums on HBCU campuses that highlight the history and legacy of each school, not being affiliated with a specific college or university gives the HBCU Museum the ability to highlight each of the 102 schools, many of which are experiencing financial struggles. “The planning for this has been going on for a long time. 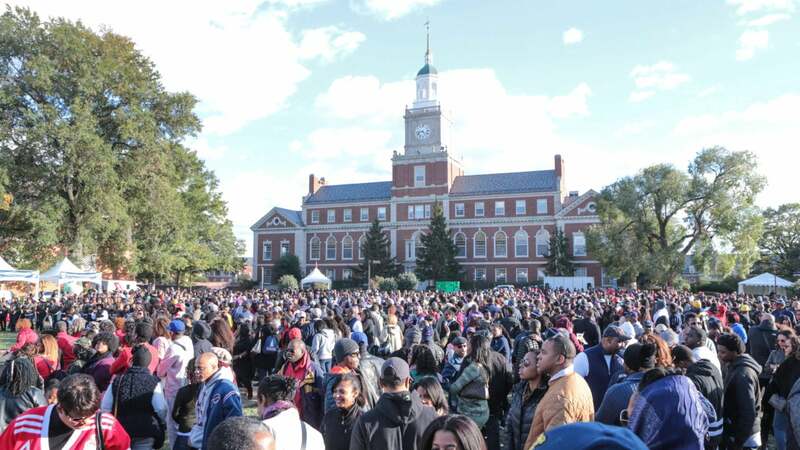 But [the financial struggles] make it ever so much more important to have it now, so people understand exactly how important HBCUs are not just for the people attending them but for culture in general,” Forte said. Forte is currently reaching out to corporate sponsors to help him realize his plans for the HBCU Museum, which he hopes will also provide scholarships to prospective HBCU students. In the meantime, he plans to welcome local students to the museum to teach them more about these venerable institutions.